Why would you want to avoid crested breeds? 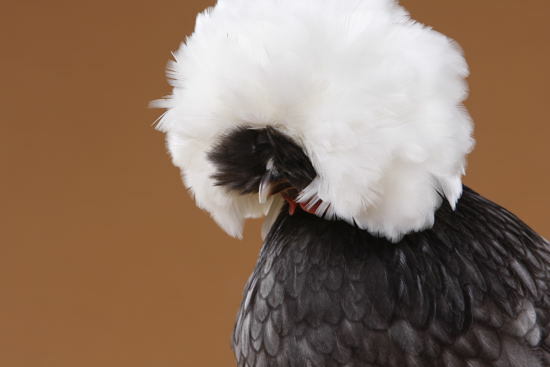 There are a few good reasons to avoid crested breeds—but there are also some compelling arguments that those reasons shouldn’t automatically rule out crested chickens in your situation. Everyone should keep a silkie, right? So, et’s look at the cons–and discuss when those cons don’t matter! Con # 1. Crested chickens tend to get picked on more often by other birds in the flock, because they can’t see a peck coming to avoid it! When doesn’t that matter? If you keep nothing but crested breeds, everyone is on equal footing. Additionally, you can choose to keep mostly docile rather than aggressive breeds, and you can give your birds plenty of space. Picking is mostly an issue when you keep very aggressive birds, or when your chickens are closely confined. That isn’t the normal arrangement in backyard hobby flocks, where pet chickens often get pleasantly spoiled. Which way should I duck? Con #2. Crested chickens are more easily predated. With obscured vision, they can’t see a predator coming as well as clean-headed breeds. This can certainly be a problem, especially in free range situations. But if you don’t free range your birds–if you keep them in a fully secure area, or range them only when you’re their to supervise—then this is usually nothing to be overly worried about. 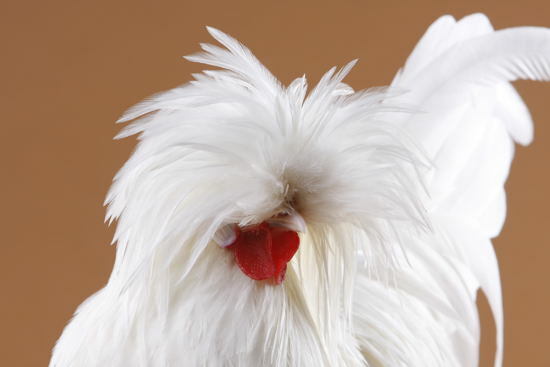 Some crested chicken breeds such as the Cream Legbar have small crests that don’t appreciably obscure vision. The Appenzeller Spitzhauben tends to have a smaller crest than Polish, Sultans and the like, too. Con #3. 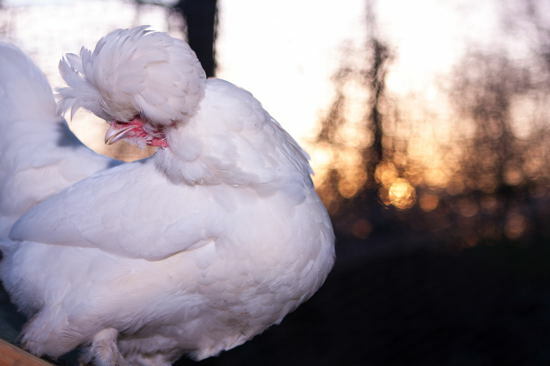 Crested chickens are not typically “production” breeds, so if you want lots of eggs, choosing crested breeds is not likely to serve you very well. Polish, especially–one of the more popular crested breeds—lay quite poorly. My head is shaped like an egg. That’s enough, right? So do Sultans. Crevecoeur and Houdans are only slightly better. 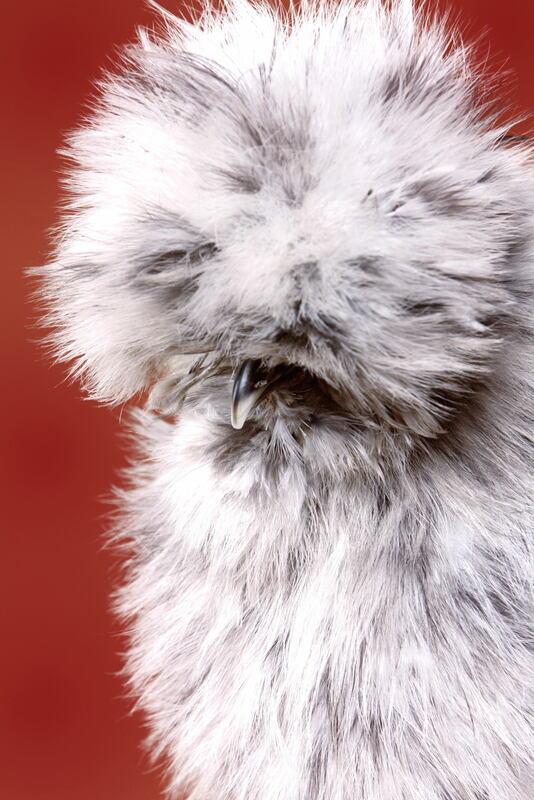 Silkies produce well when they’re not broody, but it seems sometimes that they’re almost always broody and “temporarily” out-of-lay. But there are crested chickens that lay well. Appenzeller Spitzhaubens lay reasonable numbers of eggs, and Cream Legbars lay quite well indeed! Plus, not everyone wants to keep chickens just for the eggs. Some people keep birds for show or pleasure. 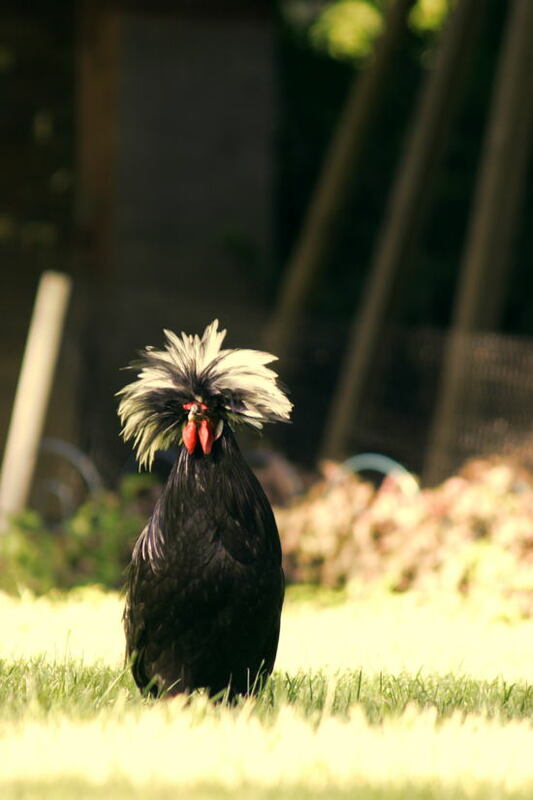 Others have a mixed flock consisting of breeds to provide plenty of eggs, and a few unusual crested chickens just because they’re so beautiful. Do you keep crested breeds—and why? What are your favorites? First time chicken owner, but I have had the pleasure of raising a male and female silkie! So far no problems, looking forward to the small eggs! my white crested polish is unlike any other hen I’ve owned before , and breaks all the sterotypes against crested breeds. She’s part of my pet flock which I keep separate from our Laying hens and rooster . She , with an appenzeller and s blue Cochin are allowed to free range all day. She is the smallest of the 3 yet has become the dominant one. Also she started laying eggs at only 4 1/2 months! She’s been laying everyday now for a month and has taken her dominance to new levels. she chases squirrels and birds out of the yard and I even catch her crow once or twice in the morning! Because she’s the dominant hen in a tiny flock she has taken on some male traits and yet still lays eggs. She’s always been a nutty chick since day one and I love her! I purchased my first Polish this year. I think they are the last I will ever buy again. I love them to death, but I feel they are HUGELY disadvantaged. All my girls are free-range in the yard. I come home from work and find all the non-poles in the front yard happily scratching for goodies under my large maple. I have to search the back yard and finally find the two poles in a corner somewhere standing alone. They seem to be missing out on life. I liken it to having a child and once that kid reaches say 2 years old placing a permanent hat on them that only allows them to see their own feet and maybe a two foot diameter past that. I’ve begun to use clicks and whistles so they know it’s me approaching. All the others are able to fly up to the perches for safety at night, but the Gabor sisters are only able to jump up on the back of a lounge chair. Climb really, and god forbid I move the chair. So every night I walk outside, give them the trill so they know it’s me and place them high up on a perch. I just recently began trimming the head-dress feathers with a pair of safety scissors. Would that I could pull them into a ponytail. I just feel it rather cruel. Like asking god for a child with disabilities. Human ego. They would not be able to survive without intervention. Survival of the fittest.